I don’t know whether to say it is the elegance and exceptional class that Mysk hotels have or the way they represent the Arabian culture and lifestyle. I guess I’ll go with both because when everyone is talking about something, there has to be a good reason and it is about time you found out the one behind the popularity of Mysk hotels in Muscat. As part of the Shaza hotels, Mysk hotels exist for the sole purpose of distinguishing the Arabian culture and lifestyle. If you don’t already know, Shaza is part of an international alliance of independent five-star hotels that refer to themselves as the Global Hotel Alliance (GHA). Mysk hotels are all five-star hotels and if you haven’t been to one before, don’t think it is the same thing as any other five-star hotel. Mysk hotels give you a five-star hotel experience from a completely different perspective. Mysk hotels are a merge of ancient and present Arabia. The designs of the hotels incorporate the classical Arabian architecture, complemented with modern architectural designs to produce a finish that is just breathtaking. The moment you set your eyes on a Mysk hotel, you instantly get the feeling that you are glaring at something special. And your eyes and heart won’t be lying to you; indeed, you will be looking at something special. But the only way to find out is by going inside and spending a night. 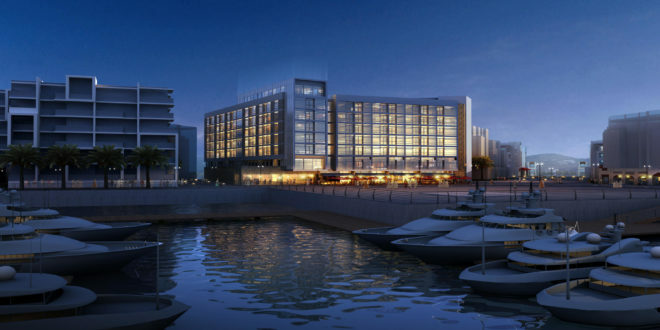 That’s all you need to realize the level Mysk hotels are compared to other hotels in Muscat. Have you ever experienced an Arabian cuisine? The choice of dishes is tremendous, even breakfast alone is enough to send you to a gastronomy adventure like no other. It is not just the food that is out of this world because if you have never been catered to by an Arabian, then you don’t know the meaning of the word service. Arabs have walked this earth for centuries. If you are a fan of history, I bet chances are that in almost any history you read, you came across Arabs at one account or another. The Arabian culture has been brushed up and refined for centuries. They treat us with kindness and generosity that they have acquired since time immemorial. When you dine in a Mysk hotel, you will get food that is so amazing your tongue may refuse to taste anything else, and you’ll be treated so well you’ll wish you were born Arabian. Muscat is known as the Jewel of Oman because the city is an incredibly beautiful one. It makes sense that a Mysk hotel should exist at such a wondrous place. Normally, when you look around a city, you’ll be dazzled by skyscrapers but the thing that makes Muscat exceptional is that when you look around the city, you’ll be dazzled by Mountains in the far distance. It is a city of its own in terms of design, location, and function. Most tourists visit the city for this unique blend of facets; the city in the mountains. And when you are exploring such a lovely place, it only makes sense that you also stay at the one place that will enhance your experience; the Mysk by Shaza. Mysk hotels provide their guests with free parking space, a dedicated personal attendant, a dedicated guide to facilitate one’s itinerary, and 24-hour guest support. They give you the full package and more. Mysk hotels are by Arabians, for the rest of the world. Muscat is the most diverse Arabian city in the world and no place on earth will let you experience the Arabian culture and lifestyle like the Mysk hotels by Shaza, in the city. That’s why Mysk by Shaza is increasingly gaining popularity in the city in the mountains.